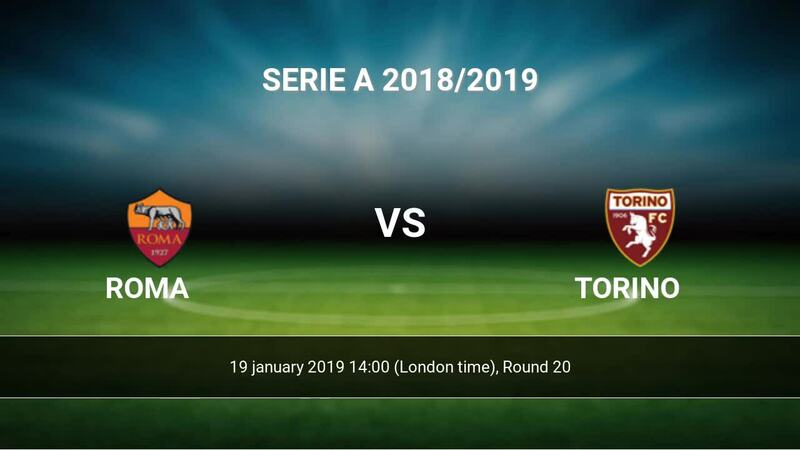 The match Roma-Torino Serie A will start today 14:00. Referee in the match will be Piero Giacomelli. Team Roma is located in the middle of the table. (6 place). Last 5 games (league + cup) finished balance 10 points. Roma has not been defeated at home from 4 matches. The best players Roma in Serie A, who scored the most goals for the club: Stephan El Shaarawy 5 goals, Bryan Cristante 4 goals, Aleksandar Kolarov 4 goals. Most goals developed: Stephan El Shaarawy 1 assists, Bryan Cristante 3 assists, Aleksandar Kolarov 2 assists. Injured players Roma: Juan, Diego Perotti, Daniele De Rossi. Team Torino is located in the middle of the table. (9 place). Torino in 5 last matches (league + cup) have collected6 points. Torino did not win the match away from 4 games. Not lost the match from 3 games. Leading players Torino in Serie A is: Andrea Belotti 7 goals, Iago Falque 3 goals, Daniele Baselli 3 goals. Most assists in the club have: Andrea Belotti 2 assists, Iago Falque 2 assists, Daniele Baselli 1 assists. In Torino not occur in the match due to injury: Emiliano Moretti. Direct matches: usually ended with winning of Roma. 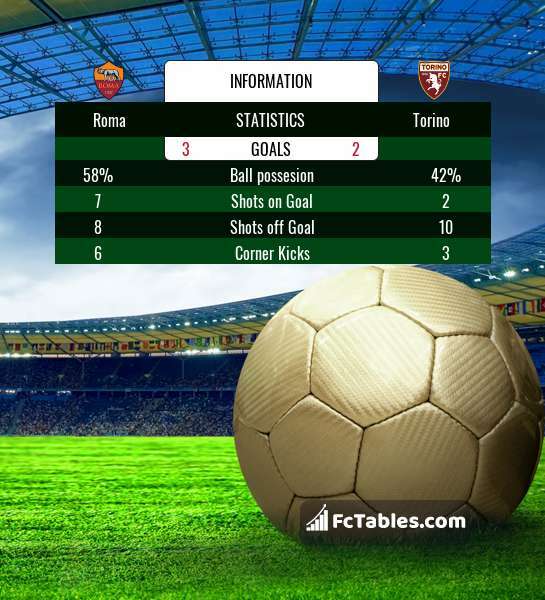 Balace of both teams games are: 19 won Roma, 4 wins Torino, 5 draws. In 14 matches the sum of the goals both teams was greater than 2.5 (Over 2.5). On the other hand, 19 matches teams scored more than 1.5 goals (Over 1.5). In 15 matches the both teams have shot at least one goal.